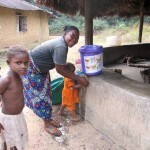 After 8 years and with your generous help we have drilled 80 wells and brought safe water to over 16,000 people. We have come to see that our primary responsibility to our supporters and the people of Sierra Leone is to ensure that all the wells that our supporters have made possible are sustainable. With your support we now have 80 wells and pumps in operation and we are very proud of that achievement. In moving to community led water source management we will be re-allocating resources from drilling to maintenance. We also believe that over time we can encourage communities to take ownership by asking them for a small donation towards maintenance, for example 50p per family per year. This approach has proved very successful for other charities doing similar work in other countries. Such contributions have been seen to encourage communities to make sure that their wells and pumps are kept in working condition. 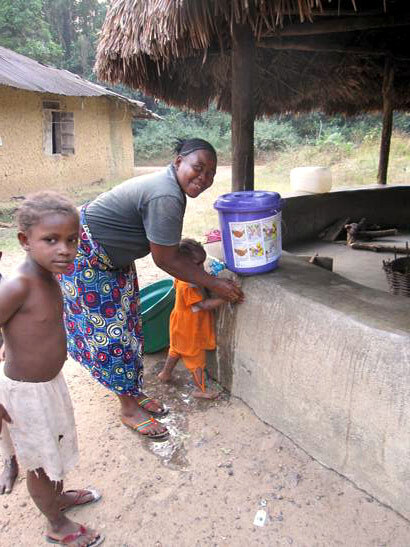 So we are asking for your help in funding the maintenance and training programmes so that the wells that you have funded so generously will keep providing water in the future. The current biggest killers, protozoal diarrhea, hepatitis A and typhoid fever are still only a pump breakdown away.